Aspen Times fileKristen Becker, Basalt Library executive director, listens to the discourse at a recent library board meeting. She has decided not to accept an employment contract for 2012. 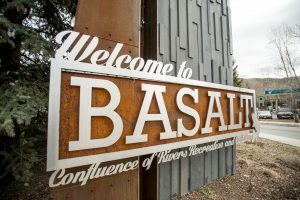 BASALT – Embattled Basalt Library Executive Director Kristen Becker surprised her supporters and critics Thursday by deciding not to accept an employment contract for 2012 and demanding a severance package. Becker submitted a letter from her attorney to the Basalt Regional Library District on Thursday saying she considers herself terminated because changes were made to her proposed employment contract for next year by the district’s board of directors. According to the letter, the 2011 contract has a provision that says Becker can deem herself terminated if her salary and benefits package is changed by a greater percentage than that of other library employees. Becker exercised that perceived option and says she is entitled to a severance package worth $26,232.40. The library district board voted 6-1 Monday night to offer Becker a contract that reduces her housing allowance from $30,000 to $20,000 and reduces her benefits package by about $10,000 annually. The amount of paid vacation she can carry over to a new year also was reduced. However, the board also gave Becker a clear vote of confidence. It maintained her salary at $105,000 despite calls from district residents to reduce her pay because of the tough economic times the library is facing. Some board members have defended Becker and her performance vehemently against criticism from a group of concerned library patrons. Becker declined to elaborate on her decision when contacted Thursday night. “I have enjoyed working at Basalt Regional Library District, and I wish the board and staff well in the future,” she said. Library board President Judy Royer said Becker’s decision was a surprise. “We’re trying to get the board together to deal with the resignation and get an interim director in place,” Royer said. She noted that three of the seven board of director positions are up for appointment after the first of the year. The board must consider if it should wait until after the three positions are filled to start the process to replace Becker, Royer said. 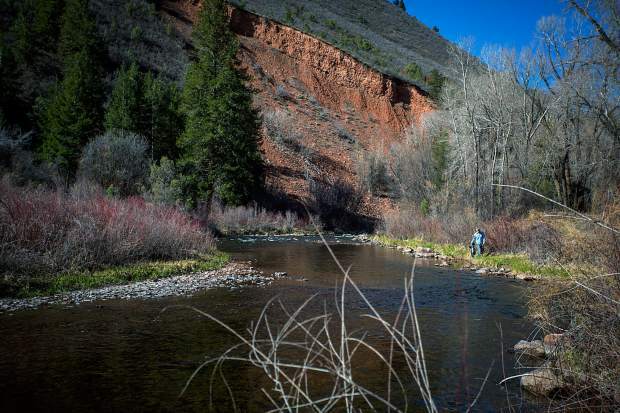 One board position each will be filled by the county commissioners of Pitkin and Eagle counties plus the town of Basalt. The decisions could be made as soon as March. Becker and the library board have come under fire in the past six months from a group of concerned patrons. They have criticized Becker’s management and personal style and the district’s handling of its budget at a time when revenues are falling because of plummeting property values. They felt the library was spending too little on its collections inventory and that hours of operation had been reduced too drastically. 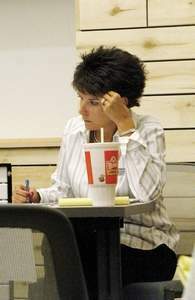 Hours were restored, but board members have stressed they are facing tough budget decisions. The district’s proposed 2012 budget dips into reserves for about $50,000. 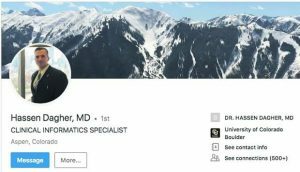 Some critics have questioned Becker’s expenditures on a library district credit card and filed a Colorado Open Records Act request within the last week for spending records. Library district board members have said the spending has been audited and no improprieties have been found. 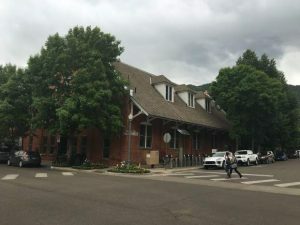 Anne Freedman, a Basalt town councilwoman and member of a group of concerned library patrons, welcomed the news of Becker’s departure. She said members of the group felt “we would be better off with somebody else” at the helm. “My hope is that we will get the library back on track because we have a wonderful facility,” Freedman said. She said the board of directors didn’t question Becker’s leadership enough and its members need to look at themselves and assess their performance. Freedman suggested it might be best if the library district moves ahead with a clean slate of leaders, on the board as well as in the executive director role. The concerned citizens will play a role in the executive director search, Freedman said. Barbara Milnor, assistant library executive director, is serving as de facto interim executive director, although Royer wasn’t certain about Milnor’s exact title. Milnor is a longtime library district employee who has filled in as director during past searches. Becker was scheduled to go on a two-week vacation starting Friday, so while her departure doesn’t officially take place until Jan. 1, she is essentially gone from the library. She was hired in 2009, at a time when the library district was facing trouble hiring and retaining a director. The recession hadn’t hit yet, so the salary and benefits package was more generous than what would be offered now, board members have said. Becker’s letter contends her severance package should include two months of salary at $17,500, two months of housing allowance at $5,000, 28 hours of paid time off for $1,413.44 and two months of health insurance at $2,318.96. The letter from Becker’s law firm said the proposed changes to her employment contract are unacceptable.